I've never seen a G3 with a fender or quarter panel factory antenna. 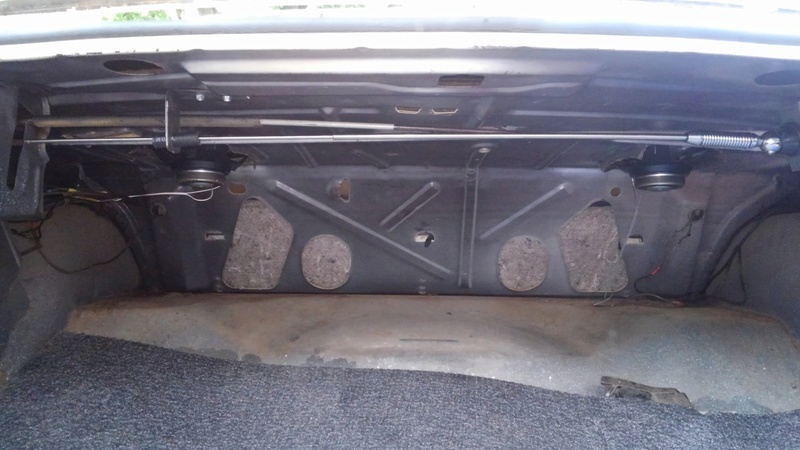 I did see a dual quarter panel setup once that someone added. Wasnt for me. I didn't want to put one on my fender or quarter. 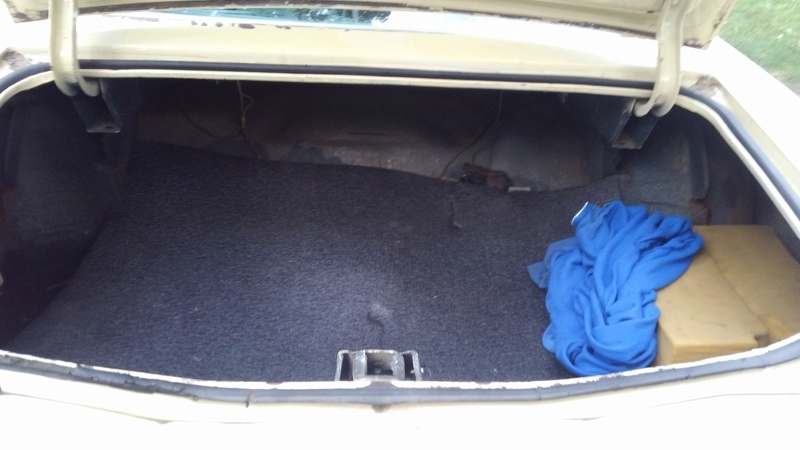 I did a lot of searching and came up with a trunk mounted idea. It works pretty good too. Sold a 76 Malibu a couple years back that had a factory looking hole in the front passenger side fender and no antenna in the windshield. So I'm assuming it came from the factory like this. What do you know...they did exist! Not sure I have the 'nads to cut a hole in the fender even if I thought it might be something I'd like to add. At least a fully retractable one would be hidden when not it use (until the motor or belt broke and left it stuck in the up position...lol!). I still dont think a 73-77 A body came with a fender mounted antenna. 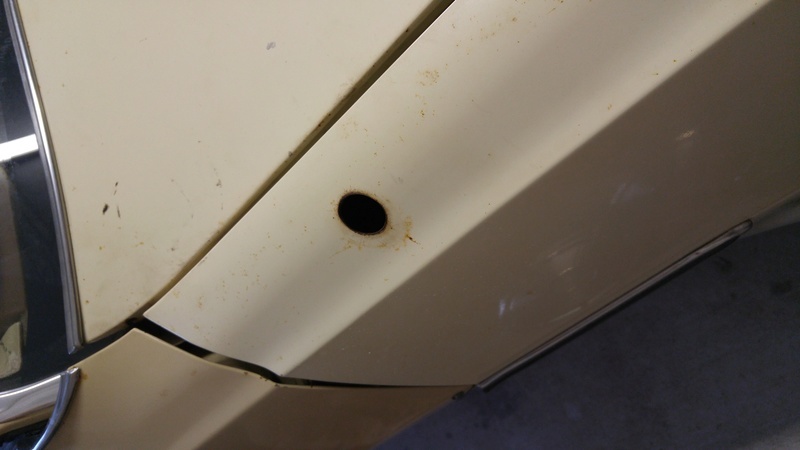 The curvature in that area would not let the antenna base sit flat on its gasket. I dont think it ever came that way. When I get a chance I'll check my 1974 original parts manual to see if they list one. Not sure if they ever came with a antenna on the fender or not, but when you wanted to replace the windshield you could order it with or without antenna. That might have been because of a radio delete option? I knew a guy back in the 70’s that did not want the crappy factory radio so he ordered it delete. Boy was he surprised that he got a windshield without an antenna when he tried to install an aftermarket stereo. 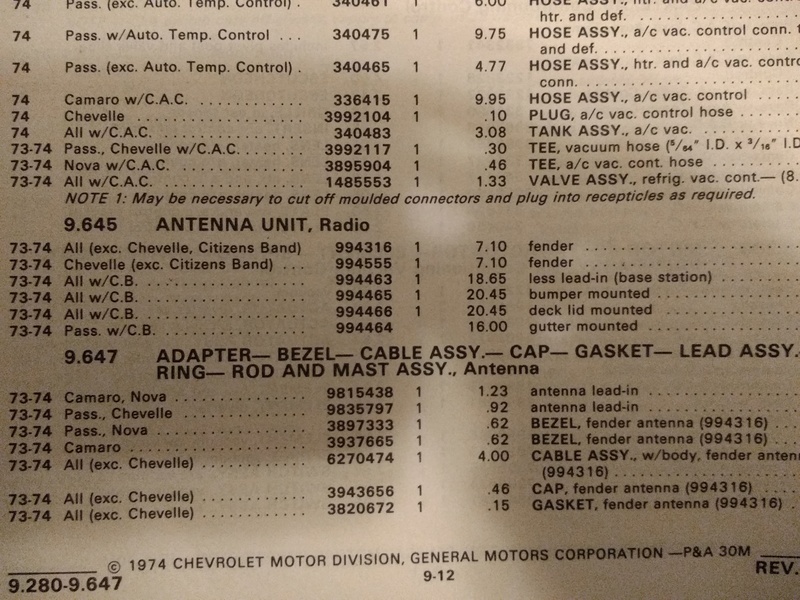 I just checked my 1974 GM parts manual and it does show a fender mounted antenna for the 73-74 model years. Part number 994444. So it must have continued through the rest of the G3 production years. I'm going to have to take a look at my 1973 Assembly manual and see if it shows a wire routing for the antenna. I'd like to know how they got it inside. Here's the parts manual pic for part number 994555 fender antenna. As for the 994993 in the ebay auction above. This is unusual, but it lists it as a Dealer installed Accessory for the 77, 78, 78 model years BUT ITS LISTED IN THE 1974 ACCESSORY Catalog. They show a manual. CB and power model, but notice the pic for the manual one on the right side of the page. It appears to have the curvature to fit the top of a G3 fender correctly. I agree. 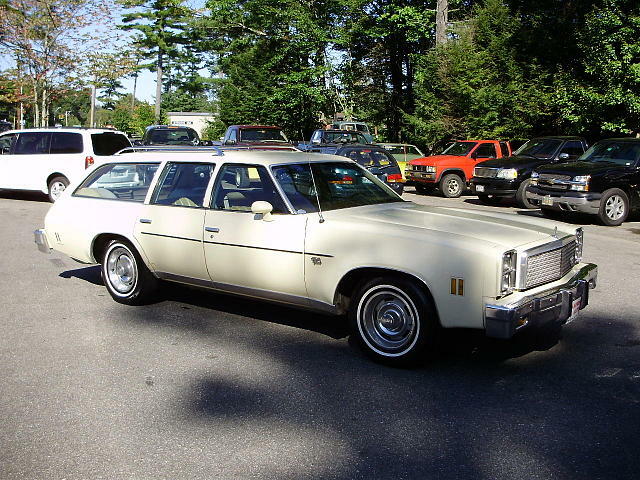 First thing that grabs me about that wagon pic is that the antenna is crooked. Good to know Joe. I like how it even lists an antenna that's roof mounted, bumper mounted, and lid mounted. 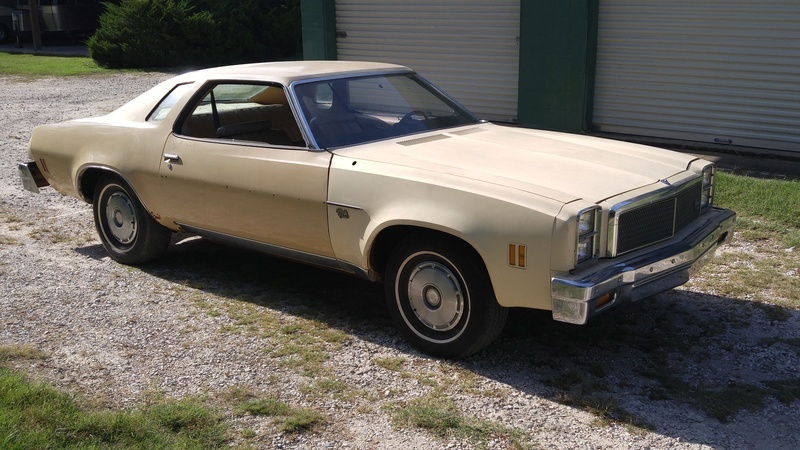 I figured as popular as CB's were back in the 70's that GM had to offer an external antenna of some sort. Thanks for verifying this Joe! Anytime guys. I enjoy scouring the original parts and assembly manuals. Happy holidays. » Uhf radio antenna placement?